On this page you can follow along with a conversation between Google employees and other participants in the open-source project, detailing the need for and implementation of non-video fullscreen elements like browser-based games and apps. One example is a Cardboard web app that takes advantage of Chrome's APIs to make a splitscreen VR environment, where a virtual navigation bar would only get in the way. 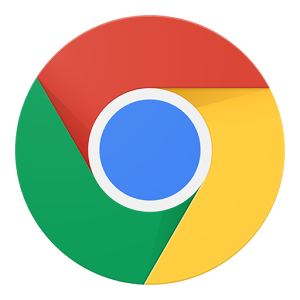 According to comment #47, the feature will be inserted into Chrome build 43 (the current beta is 42 and the current stable release is 41). 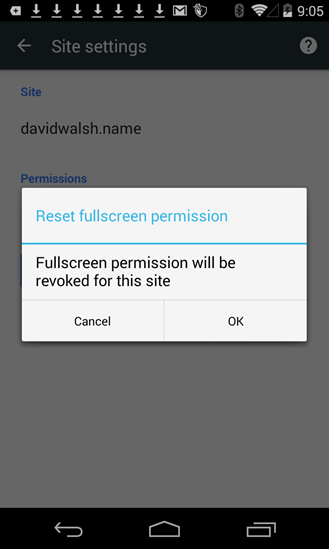 In build 44, users will be able to manage fullscreen permissions on a site-by-site basis in the Settings menu. 1) For M43 we launch with the setting listed but disabled (so "Fullscreen/Allowed" all in gray.) 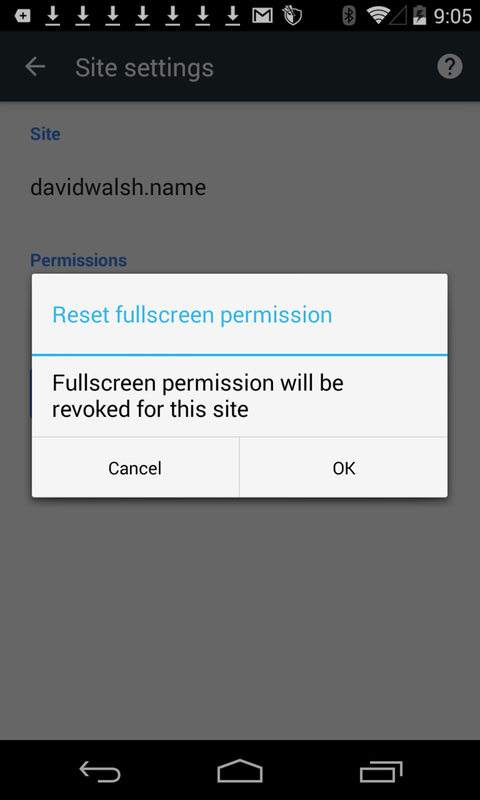 You can reset by resetting the entire site. 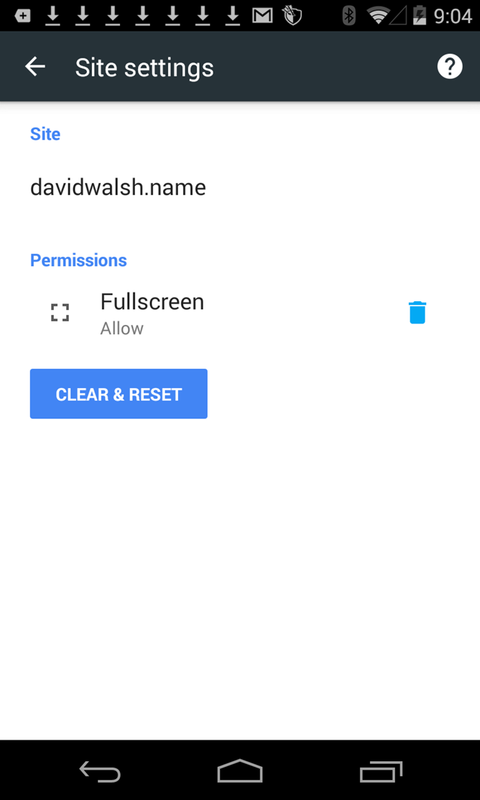 2) For M44 I get UX approved for single-permission management. We need more time than we have right now to get everyone on board, but should be doable for the next milestone. If you want a user-accessible switch for browsing all websites in immersive mode to get more reading room... well, it doesn't look like that's coming. But have hope: several of the developers have mentioned that very functionality over the ten months since the issue was first posted. 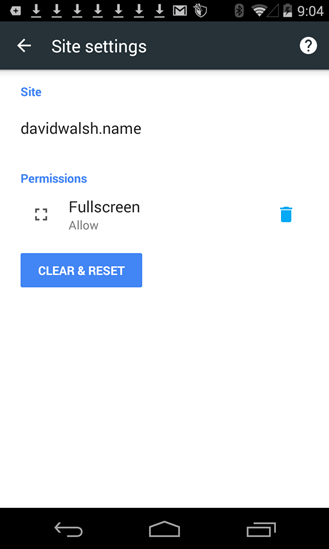 A few even mentioned the fullscreen toggle from the AOSP browser that some users (including yours truly) have been hoping to see in Chrome for Android. Maybe it's not too far away from being added in.